Andris Nelsons and the BSO will give three performances of Shostakovich’s Fourteenth Feb. 1-3. 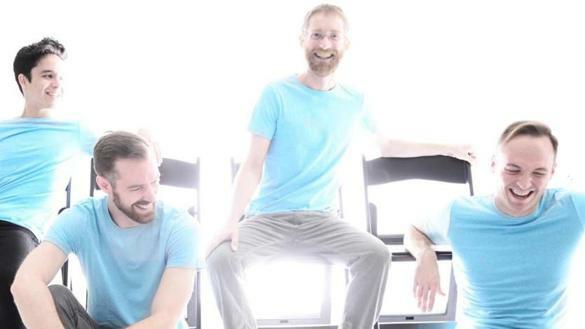 Certain signal works attain their aura through a refining of a composer’s musical language. Others do so by gathering within their frame an air of summary, of culmination. The rarest of masterworks seem to travel both routes at once. In Shostakovich’s case, when such a work arrived, late in life, its originality was so blinding he confessed that for the first time he had no idea what to call a piece he had created. It was scored for two vocal soloists — soprano and bass — but it had no chorus, so he could not call it an oratorio. Perhaps still more confoundingly, the piece deployed the resources of an orchestra — which was for Shostakovich, until then, a vehicle of public proclamation — yet its music limned a world of half-lights and private truths, the domain of his late chamber works. This week, the Boston Symphony Orchestra’s own journey through Shostakovich’s symphonic cycle arrives at the mountainous terrain of the Fourteenth. The orchestra will give three performances under the baton of Andris Nelsons. And we should not expect others anytime soon. This is not the kind of score trotted out for an effervescent all-Russian program. Prior to this week, and excepting a recent student performance at Tanglewood, the BSO had played the Fourteenth Symphony only once, over a quarter-century ago. Which is in a way understandable. If Kokoschka once (rightly) said of Schoenberg’s music that it was born in the cradle of Beethoven’s “Grosse Fuge,” one could say in a similar spirit that the cradle of the Fourteenth is Mahler’s “Das Lied von der Erde,” and especially its final movement, “Der Abschied,” that sublime study in the art of leave-taking. This too, is music of ultimate things, and music, rather explicitly, on the subject of death. The notion of death as a unifying musical theme had been on Shostakovich’s mind since 1962, when he orchestrated Mussorgsky’s “Songs and Dances of Death.” The year 1969 found him in treatment and under quarantine for a month in a Moscow hospital, where he had ample time to read poetry and to ruminate on his own physical decline. It was here in the hospital that the Fourteenth was born. Shostakovich chose 11 poems on the subject of death from across the centuries — by Apollinaire, Lorca, Rilke, and Wilhelm Küchelbecker — and, with blazing speed, wove them into a single symphony of songs. The composer would live another six years, but his health was already precarious and he was haunted by the fear of dying before his Fourteenth was complete. Once the piece was written, he worried he might not reach the day of its premiere. Throughout the preparations, time and again, he urged haste from colleagues. It was as if the music’s content, at any point, might just topple what remained of the slender partition between art and life. And those boundaries did turn out to be alarmingly porous. On June 21, 1969, at a private run-through for an invited audience of Soviet officials in Moscow, in the middle of the fifth movement, in which a soprano sings terrifyingly about a soldier sent by his country to his death, a party functionary named Pavel Apostolov suddenly rose from his seat and loudly fled the concert hall. He had suffered a stroke or a heart attack, and was dead one month later. That the deceased had been a longtime antagonist and a fierce opponent of Shostakovich’s music conferred on the incident, for many of those present, an air of cosmic retribution. Not everyone was equally pleased. Alexandr Solzhenitsyn was said to have felt the finale of the Fourteenth lacked “light.” Certainly uplift is scarce in the final movement, a brief and pitiless setting of Rilke’s poem “Conclusion,” which honors death’s power to strike at any moment. Yet the Fourteenth is not a work of unrelenting nihilism. There is also music of prophetic warning, music of defiant fury, and music of profoundest gratitude. The disparate scenes conjured by the poems are united by an eerie sense of space, and an almost alpine clarity of vision. From its raised promontory, the music seems to peer forward into the approaching darkness, backward over the course of a country’s tragic century, and outward into the world that made it so. But ultimately, what Shostakovich sets most strikingly against the finality of death is the immortality of art. In “O Delvig, Delvig,” the baritone celebrates a union between artists across time and place, a fellowship of the spirit that rises above the petty lives of “villains and fools” and remains “equally strong in happiness and sorrow.” And here we might mention the deeply touching fact that Shostakovich dedicated his symphony, across the Iron Curtain, to the composer Benjamin Britten. For this listener, the work’s most pulse-quickening moments are found in the glacial-ice radiance of its fourth movement, a crystalline setting of Apollinaire’s darkly surreal poem “The Suicide.” A solo cello keeps watch over the solitary soprano voice. The poem’s narrator, speaking in first-person, praises the three tall lilies that alone mark the grave in which he lies. One lily has grown from his mouth. One lily has grown from his heart. One lily has grown from his wound. The sheer luminosity with which Shostakovich sets this fourth poem fills the entire song with an air of confession. And how could it be otherwise? This long-suffering composer who had endured so many years on the brink may well have seen himself in this poem. And then we realize, with a shiver, that this music of death has enacted its own escape. These lilies — once linked to a poet’s mouth, heart, and wound — are in fact here before our eyes. They are a composer’s songs. They are his Fourteenth Symphony.